Last time I cooked | escaped. ...was at our old apartment, the week before we moved to the new house. I was home early from work one day, and Rayyan behaved, well, so much better than his normal days (I made my son sounds like a brat, don't I?) because on normal days, he'd want to be hanging off my hips everywhere I go -_- He's at that stage where he wants to be with me all the time; so clingy that it made it difficult for me to do house chores, like cooking. But that day, I realized he was playing by himself at the living room with his toys, just occasionally looking around to spot me. So when he wasn't looking, I sneaked out to the kitchen to make this, our family's comfort food! Back in Japan, I used to cook ayam masak kicap a lot more frequent than other dishes - simply because it's simple. Haha. And sometimes when Shahrul came over to visit me at Hiroshima, I'd make this for him when we were too tired to go out or when we didn't have a lot of time to spend with each other. So over time, I think he grew to like this particular dish (or maybe because I forced him to). 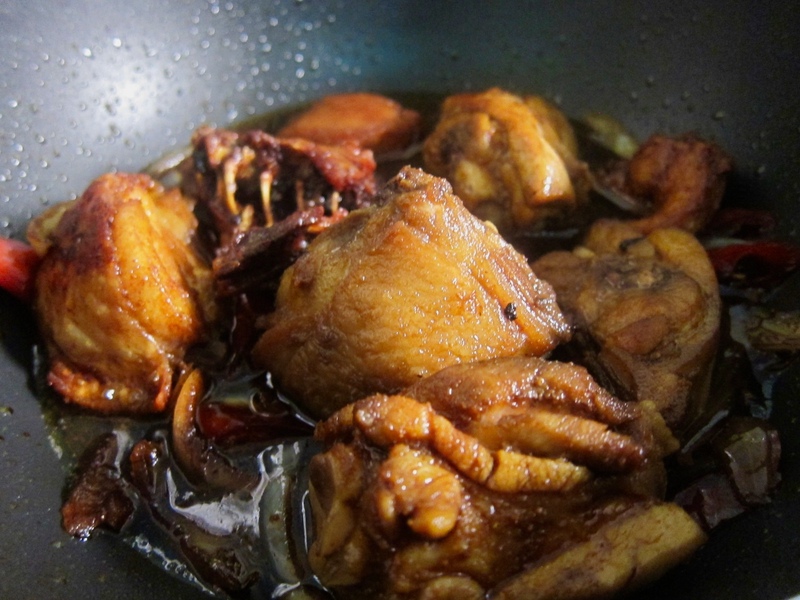 "..because no one makes ayam masak kicap like yours!" 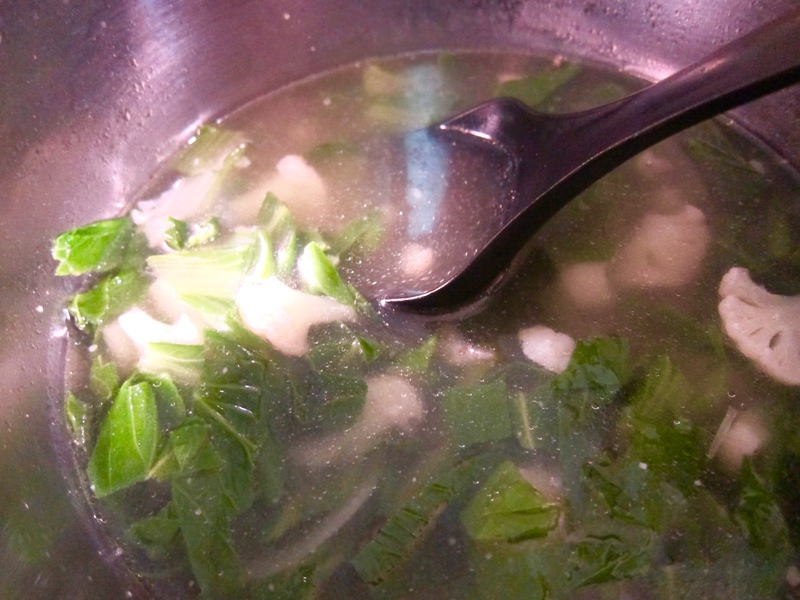 And veggie soup, is actually his favorite, not mine. But I make it anyway because now Rayyan can eat it too!